In order to meet our growing need for electricity, heat and mobility, we have been relying to a large extent on the burning of fossil fuels such as coal, natural gas and crude oil since the beginning of industrialization. This results in a large amount of greenhouse gases – such as carbon dioxide (CO2), methane (CH4) and nitrous oxide (N2O) – being released by humans. As a result of anthropogenic emissions, the concentration of CO2 in the atmosphere has risen by almost 50 percent since 1750 to the present day. The rise in the concentration of greenhouse gases in the air leads to an increase in temperature. Similar to the glass of a greenhouse that holds the heat inside, the heat radiation coming from the earth’s surface is held back by the greenhouse gases in the atmosphere. The result: It gets warmer and warmer. Greenhouse gases have been part of our atmosphere for millions of years. Without a “natural greenhouse effect” it would be so cold on Earth that no life could exist. In recent decades, however, the concentration of greenhouse gases has increased annually as a result of human activity and the long-term natural balance is disturbed by this effect (“anthropogenic greenhouse effect”). The problem is exacerbated: we are not only emitting more and more greenhouse gases, but are also destroying more and more forests that can bind and transform greenhouse gases. Due to global warming, permafrost soils that have previously stored a large amount of greenhouse gases and glaciers that have reflected the sunlight and thus contributed to the cooling process melt – the greenhouse effect reinforces itself. How does climate change manifest itself? There has always been a natural change in climate. However, this natural climate change is extremely exacerbated by human influence. Human-made climate change has already led to an increase in extreme weather events. This dangerous trend, with persistent heat waves, heavy rainfall and rising sea levels, will continue to increase, especially in some regions of the world. The loss of human lives and enormous economic damage caused by extreme weather and climate events are the consequences. In addition, due to global warming, sea levels are expected to rise by more than one meter by 2100, resulting in flooding of entire island states and many coastal regions. When the Earth’s atmosphere warms up by more than two degrees Celsius, scientists calculate that the consequences for our world are almost impossible to control. 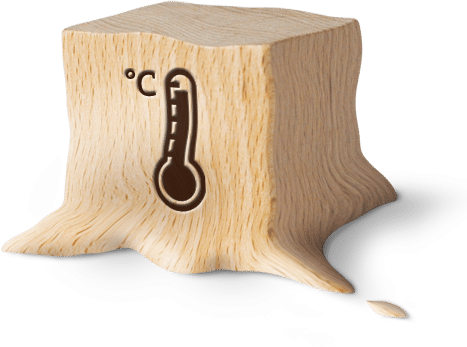 With a further unchecked increase in global greenhouse gas emissions, current estimates of the IPCC (“Intergovernmental Panel on Climate Change”) assume an increase in global mean temperature on the earth’s surface of up to 6 degrees Celsius. How potent global warming will actually be depends largely on how many greenhouse gases will be emitted in the future. The ecological, economic and social effects of progressive climate change on humans – especially in developing countries – are serious: extreme weather conditions such as droughts or floods cause crop failures that lead to hunger and malnutrition. Health problems caused by heat stress and infectious diseases will increase. Rising sea levels threaten entire states. Some experts even fear “climate wars” when conflicts over farmland and water escalate. What needs to be done about climate change? In order not to exceed the limit of 2 degrees Celsius warming and, if possible, to remain below it, humanity must stop the increase in annual global greenhouse gas emissions by 2015 to 2020 at the latest and then reduce them by at least 5 percent annually without delay. By the middle of the 21st century, annual global emissions may not exceed the equivalent of half of 1990 emissions – on average. For industrialised countries such as Germany, this means that from 2050 (or earlier) virtually no more greenhouse gases may be emitted. This reduction target can only be achieved through intensive energy saving, efficiency increases in all areas and the conversion of energy supply to renewable energies. CO2 offsetting can also make a temporary contribution, especially in areas where CO2-free alternatives are not available fast enough – such as in the area of mobility, which is responsible for around 20 percent of greenhouse gas emissions in Germany. Why is personal initiative required for climate protection? Man-made CO2 emissions have been rising steadily for years and with them the concentration of CO2 in the atmosphere. However, since last year there has been a binding international agreement in the form of the Paris Agreement, which sets out the objective of limiting global warming to 1.5 degrees Celsius if possible. How this is to be achieved, however, is not directly stated in the agreement. The agreement merely stipulates that all states should take voluntary measures to achieve this goal. Every five years, the development of the measures taken, the achievement of objectives and actual climate changes are reviewed. The measures submitted by the states in the follow-up to the Paris Conference are far from sufficient to achieve the set objective. With these measures, we are on the way to 6 degrees Celsius global warming. What exactly that means, nobody can really say today. However, one thing is certain: such warming would lead to catastrophic climate and social disruptions. This makes it all the more important for us to take the initiative and for each individual to make his or her contribution. Companies in particular can bring about positive changes in society. Some have already started (hesitantly). And more and more states and international institutions are realising that a climate catastrophe should be prevented. However, as we have already lost a lot of time, the measures necessary for this are becoming increasingly drastic with every year in which little or nothing is done. For this reason, the legislation and standards on climate protection will change radically in the coming years. Anyone who already implements a roadmap for climate protection and sustainability will win in the end – and will still be able to offer its products and services in the future.